Evolution Dance Academy was previously known as Edenbridge School Of Dance and Scamps dance and has been merged in 2014 to join as one dance school. We are continuing to grow and with it grows a reputation of running fun dance classes where children can learn to improve their dance skills in a relaxed environment. Not only do we hope our children can learn dance skills, but they can improve in confidence and make strong friendships with their classmates. We run classes in Edenbridge, Lingfield, and Sevenoaks. All our teachers are trained, experienced and have current CRB/DBS checks. We are a member of the IDTA and follow that syllabus in class. Our staff do have experience in other dance syllabi giving them good knowledge and a way to include other dance exercises into the lessons to improve on their students' knowledge. During the school holidays we like to keep all our children entertained and be able to continue to enjoy dance. Therefore, we offer a variety of different workshops to our students that give them opportunity to try different things. Please click on our latest news page for more information. We run various different types of dance classes throughout the week that can be found on our 'Dance Styles' pages. We encourage children to take up whatever form of dance inspires them. However, for any aspiring dancers we encourage them to take at least one ballet class a week because this is the core foundation of dance. Private classes are also offered to those students who are keen to improve their skills. We keep up to date with what is currently popular and run a variety of classes. With the increasing popularity of singing, dancing and acting combined, and one our members of staff having a background in Musical Theatre we have a popular and ever increasing musical theatre class running. Our pre-school Tiny Tots class is designed to encourage our younger members to learn how to use their bodies and gain a basic knowledge of dance along to music that they know and love. All our music is either syllabus related or in keeping with what is popular at the time. 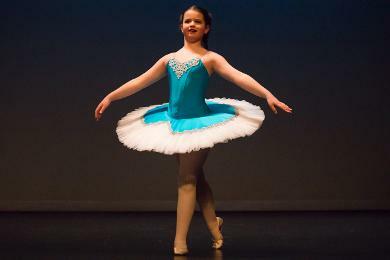 Our dance classes include ballet, tap, street dance, Irish, modern, contemporary and musical theatre. click on the picture below for a timetable of all our lessons!